1. John Beaufort DUKE OF SOMERSET, son of John de Beaufort EARL OF SOMERSET (aft1371-1410) and Margaret de Holand (aft1381-1439), was born in 1404. 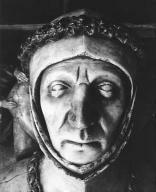 He married Margaret BEAUCHAMP circa 1440. 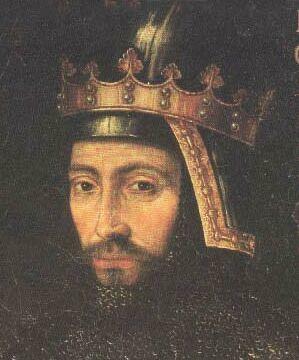 He died on 27 May 1444.
highly unlikely, having comitted suicide. He was buried in Wimborne Minster, Dorset. 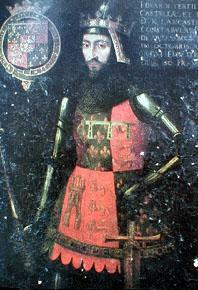 He was elevated to the dukedom of Somerset on August 28, 1443 and was also created Earl of Kendal that same day.. 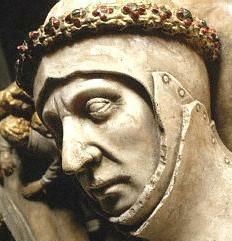 He was made a Knight of the Garter in 1440.